One of the best books I have ever read is now adapted to a movie. I hope this goes well, I love the cast. The cry baby Charlie will be played by Logan Lerman, you might have seen him in Three Musketeers, Percy the Lightning Thief. 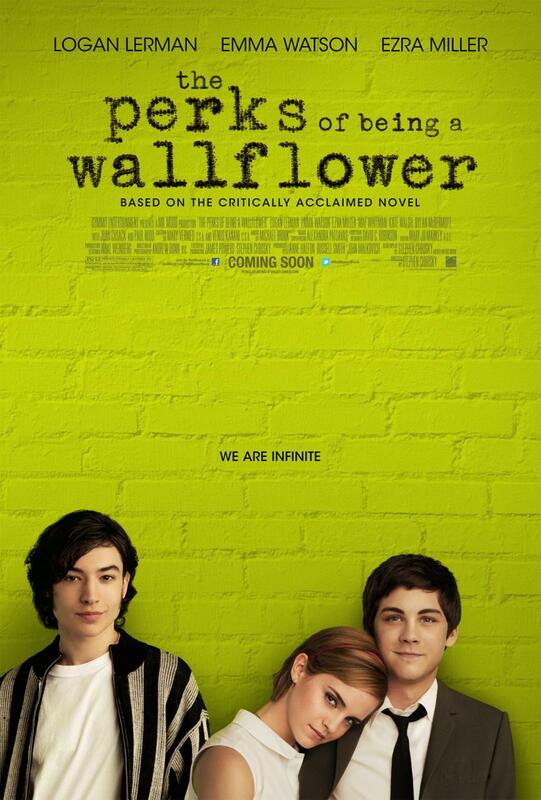 Emma Watson will portray Sam and Ezra Miller star of Afterschool will play Patrick. "Sometimes, I read a book, and I think am the people in the book." “You see things. You keep quiet about them. And you understand." "Things change. And friends leave. And life doesn’t stop for anybody." "Please believe that things are good with me, and even when they’re not, they will be soon enough. " I think that Ezra Miller guy plays Kevin in that movie you and Fibi downloaded for me.